At Robinson Barristers You Are a Name, Not a Number! Winning Results in All Areas of Criminal Law. Talk to us before you talk to the police! Being charged with a criminal offence is a serious matter. 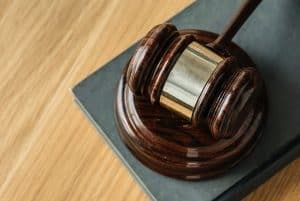 In addition to possible jail time, a criminal conviction can impact your ability to travel, affect your employment and damage your good reputation. Call us to talk before you speak to the police and we will provide you with a free initial consultation. Protecting your rights is our first priority. Even if you can’t afford a lawyer or are unsure if you need one we would be happy to speak with you and may be able to provide some basic advice free of charge. We ask that you please contact us at (306) 585-1777 or (416) 777-1777 for specific information. Nicholas P. Robinson has handled cases as varied as complex class actions against defendants such as General Motors, Mattel, GlaxoSmithKline and Conrad Black to less complex, but equally riveting, criminal defence work involving allegations ranging from trafficking of controlled substances to simple Impaired Driving cases. Nicholas P. Robinson has spent years managing criminal matters ranging from simple assaults and impaired driving to manslaughter cases.